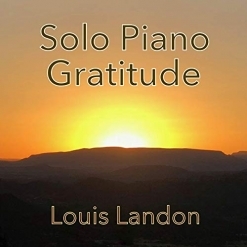 2019 / Landon Creative, Inc.
Solo Piano Gratitude is pianist/composer Louis Landon’s thirty-first album, not counting singles or compilations with other artists. 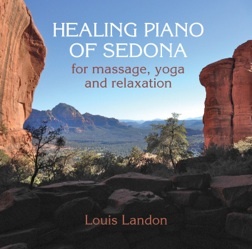 A Steinway Artist and Pianist For Peace, Landon’s mission is “to create a more loving and peaceful world by writing, recording, and performing music from the heart.” The twelve tracks on this album were recorded live at the Peace Palace in Sedona, AZ during a “Gratitude Concert” where attendees were asked to write down the things that they were grateful for before the concert. All of music was improvised that evening and was based on those suggestions. I have reviewed most of Landon’s recordings and sheet music and he is a regular performer in my house concert series, and it seems that he just keeps getting better. A lifelong professional musician proficient in a wide range of genres and styles, improvisation seems to be where he really shines. A native New Yorker, the past years spent living in Sedona with his soulmate among the red rocks has given Landon’s music a more open, spacious quality that is relaxing and soothing, but also inspirational and very suitable for more focused listening, which I very highly recommend! Louis Landon is an artist with a very big heart and ten magical fingers - a wonderful combination! 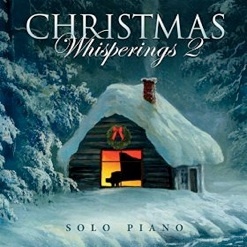 Solo Piano Gratitude begins with “Grateful for Wisdom,” a gentle meditation with a a simple, heartfelt melody. “Grateful for Every Day” expresses the warm glow of true contentment with a quickly flowing left hand and an upbeat, joyous melody - a favorite! “Grateful for Artistry” is more complex and free, reflecting Landon’s extensive background in jazz. “Grateful for Awakening Hearts” is very fluid with a sparkling, unstructured freedom that feels much like light dancing on water. “Grateful for Peace” is a gorgeous meditation on the true nature of peace and what that means. “Grateful for Love” picks up the tempo significantly with a joyful, exuberant energy. “Grateful for Kindness” expresses simple tenderness and grace with a quiet but sincere voice - I really like this one, too! “Grateful for Freedom” returns to a “freer” (pun intended!) style that is both bold and expressive. “Grateful for Family” beautifully conveys the deep bonds most of us have with at least some of our family members as well as the feelings of ease that come with being with those people, whether they are blood-relatives or friends who have become part of our families over time - another favorite! The closing track, “Grateful for Life,” sums it all up with a song of fervent gratitude for life itself. 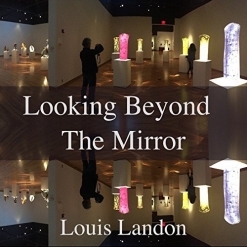 Louis Landon has created another truly exceptional album of solo piano improvisations with Solo Piano Gratitude! It is available from www.LouisLandon.com, Amazon, iTunes and CD Baby.